Wheeler’s sentiment got some pushback from Twitter users, including openly gay Pennsylvania Representative Brian Sims. Ryan, can you center yourself in this any more than this? Holy hell. What you “love about queerness” has absolutely nothing to do with what queerness is or, more importantly, what queerness is for others. Repeat after me: You don’t get to define others’ queerness. 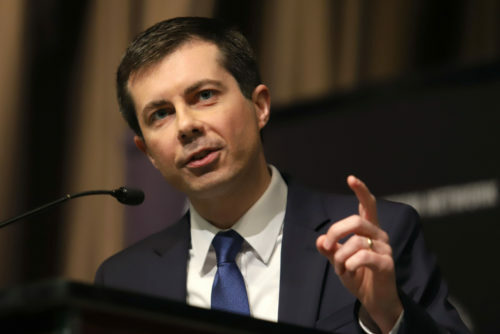 No, Buttigieg isn’t Republican, but by this definition, one can question seriously question whether he’ll truly advocate for marginalized Americans who fall outside the protection of the mainstream, both because of his background and because his official website has no actual policy positions on it yet.